If Sachin Ramesh Tendulkar is God of Cricket then I must say Vangipurappu Venkat Sai Laxman is God of Crisis. This Stylish Hyderabadi has added lot of glory to Indian Cricket by his ability to play in crisis situation and turn the games in favour of India. Who can forget his epic 281 at Eden Gardens. 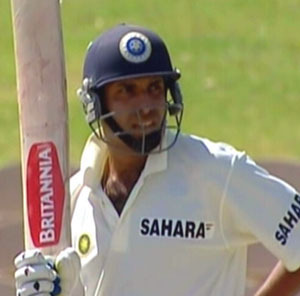 Team was on the doorstep of losing that test match in 2001 after follow-on but this Stylish Hyderabadi turned the match in India's favour with fine stroke play and beautiful wrist work and won the match for India and gave the confidence of winning the series as well. 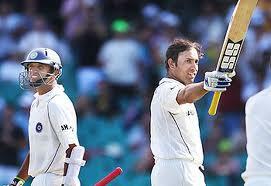 But I must tell you it was not easy for Laxman at the start of his career. No player comes close to him in using the wrist while playing and that is his great asset and makes him elegant and stylish. He was on the domestic scene since early 90s but never selected because that time team was having some good players in its rank. Likes of Azhar, Manjrekar, Tendulkar, Dravid, Sidhu, Ganguly, Kambli. So it was difficult for the selectors to accommodate 'Very Very Special' Laxman in that star studded batting line-up. But finally he got his due in 1996-97 season when he made his test debut against South Africa at home. 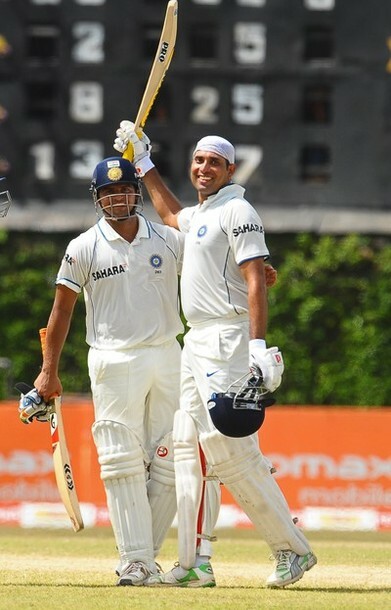 Even in this first test match, when India was in trouble, when they lost 4 wickets for just 82 in second innings, it was Laxman who bailed them out of the trouble by scoring gritty half-century in that second innings and did fantastic partnership with Kumble and helped India eventually to win that test match by 64 runs. So, Wristy VVS Laxman is the crisis man for Team India since his debut. It is unforutnate that he did not participated in single World-cup ever since his debut and after spending more than a decade in International cricket though he was more talented then many other cricketers who played for the country and played in World Cup. He never featured in ODI team consistently which I feel is loss to the Team India. But he never complained about that and did his job to the perfection for the team. Intial 3-4 years, he was in-and out of the team but not because of poor performance but due to changes in his batting-order. He was never allowed to settle on the one spot. He opened for India and he batted on almost all the spots for India when required and that too without hesitation or questions and when it comes to drop somebody from the team then sword was always hanging on his head and was dropped many times. Come 2001, credit goes to Sourav Ganguly who insisted selectors to include VVS Laxman in the team after Laxman's good show in domestic cricket and rest is history. After 2001 Laxman became integral part of this Indian batting line-up and never looked back since then. He played some fabulous innings for Team India and always played crucial role in team's success in India or Overseas. The way he bats, he looks like a painter who is painting green canvas with his silken strokes. His bat turns into brush and runs becomes the creation. I believe if he played in top-order then he also owned more than 30 centuries but he often played down the order and mostly with the tailenders which reduced his centuries to just 17 which is not a true reflection of his talent. Looking at Laxman's contribution in Indian cricket and his ability to play crucial innings in crisis times makes him greatest batmsen of all-time. If we look at second innings batting of all the Indian batsmen then I must say nobody is near Laxman's average. He is averaging more than 50 in second innings which tells about his temperament and ability but on the sad note I must say Stylish Laxman never got that fame which his other colleagues got. I feel he is unlucky because he is playing cricket in the era when we have Great Tendulkar, Wall Dravid, Dasher Sehwag and Gutsy Ganguly until his retirement. Laxman just lost under the shadow of all these great players but I feel he is the biggest superstar of Indian Cricket because when it comes to save or win the game for the country then Laxman is the man for that hour. No other player gives you confidence of winning or saving matches like Laxman gives you. In the last one year he won 3 matches for Team India from losing situation and saved the match once. He may not be endorsing big brands like Dhoni and Tendulkar , may not be giving too many interviews, may not be a popular man among media but he is God of Crisis for Indian cricket and time has come now to recognize his service and give him his pending dues and that will be great tribute to him and his services. His initials VVS tells the story of this charismatic cricketer. Indeed Laxman is Very Very Special for Indian Cricket. I must say he is very good human being apart from great cricketer which is most important.